This is to instruct you on how to calculate staircase concrete quantity. 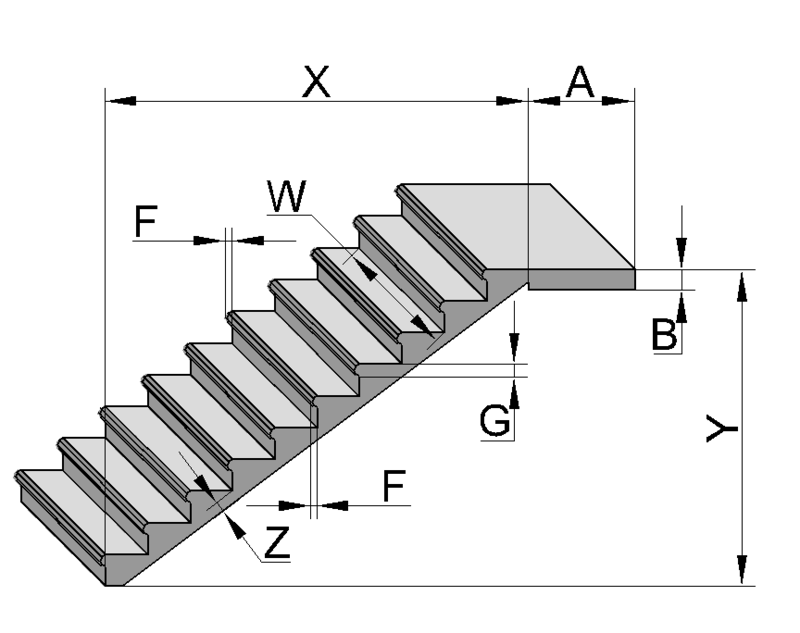 Z – additional staircase thickness. G – single stair thickness. R – amount of rebar per step. Fig. 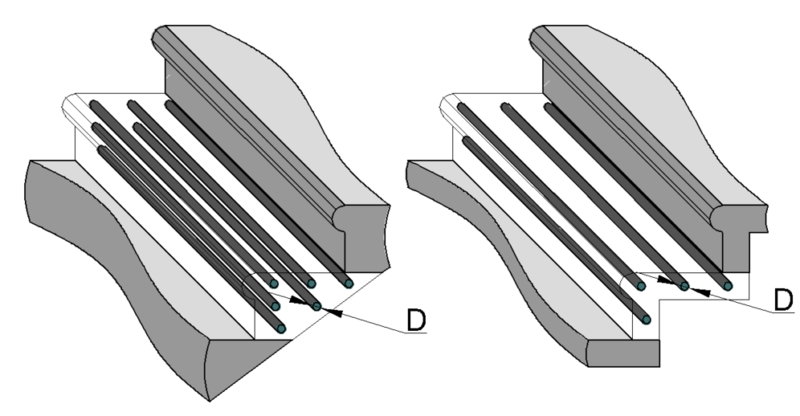 3 Examples of even distribution of six and four rebar rods. It is important to evenly distribute the rebar rods (see Fig. 3 above). Information required for construction of stairs. Information on amount of concrete you will need. Information on rebar quantity you will need. So if you ask how to calculate staircase concrete quantity, the answer is already there, in results of the calculation. All other drawings show the final form of the staircase. 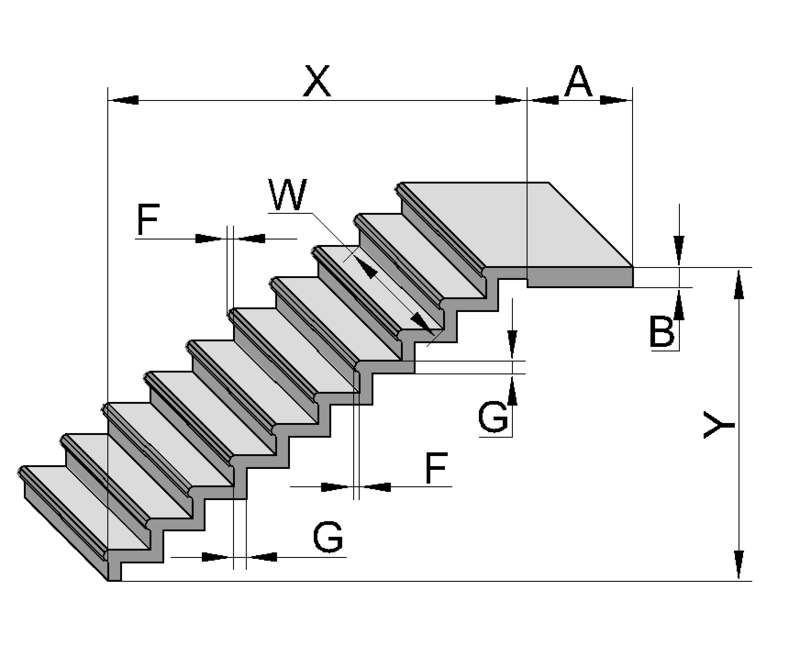 We hope this information will help you to calculate staircase concrete quantity.